Born at Greenock in Scotland in 1791, the young Alex was introduced at an early age to life on the high sea. 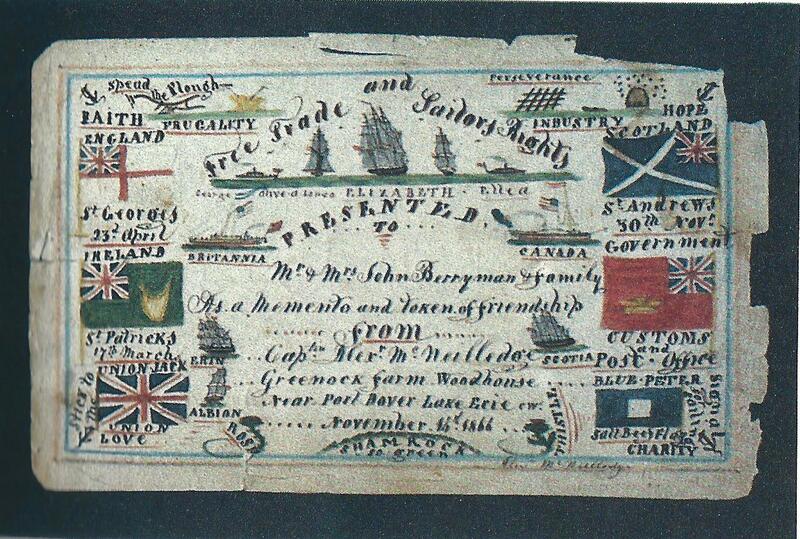 When only eight years old he accompanied his father, a sea captain, on an ocean voyage to Newfoundland. In subsequent years he worked his way up from cabin boy to log keeper and eventually captain by the time he was thirty. As a sea captain he travelled around the world. 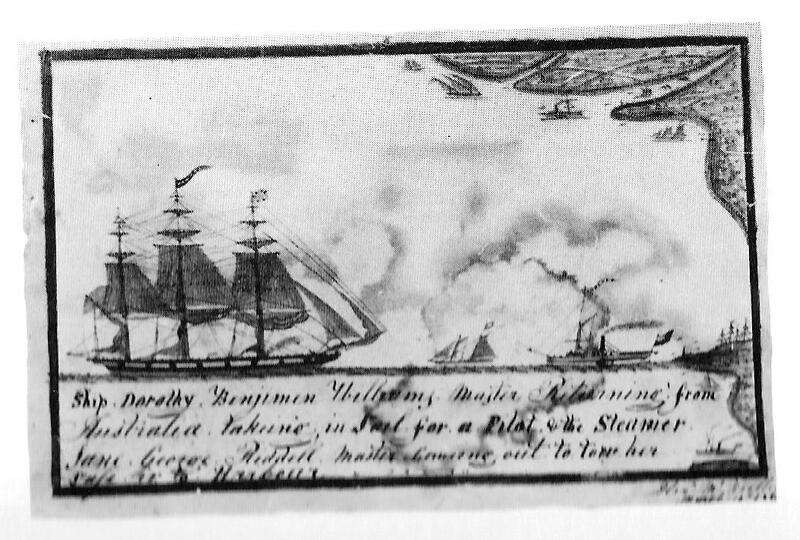 His exploits are the stuff of seafaring legend: he was shipwrecked on Long Island in 1807, saw the Duke of Wellington in Lisbon, and even caught a glimpse of Napoleon Bonaparte, the deposed emperor of France, in exile on the island of St. Helena in 1817. The captain covered huge swaths of the globe, sailing to ports as far afield as China and running a naval blockade off Buenos Aires. And, for good measure, he endured robbery and plunder at the hands of pirates on the storied Spanish Main. 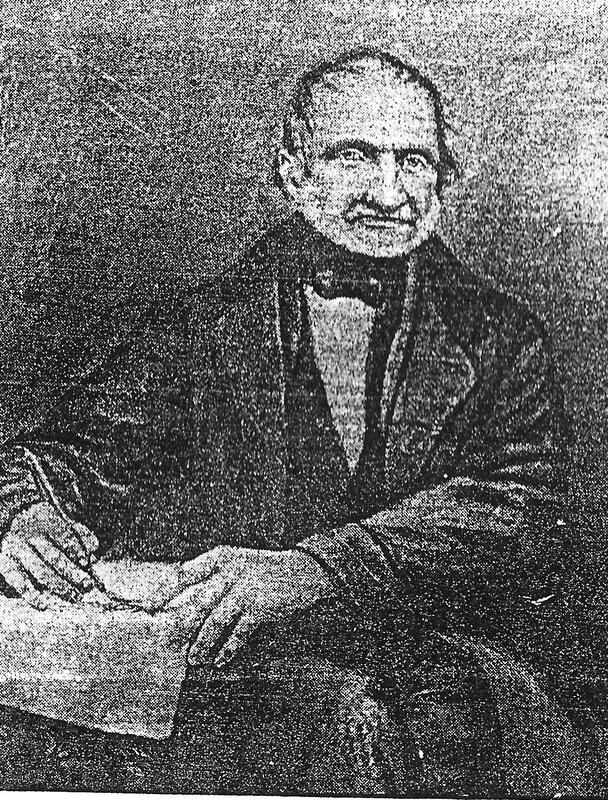 At the prodding of his brother Collin, McNeilledge came to Port Dover with his wife Mary Ann in 1832 to work as a bookkeeper at his mill, and he purchased a farm a few years later. But the mundane life of clerking and farming was nothing compared to his high seas adventures. You can you imagine how exciting farming was to him after that life? So he basically left the farming to his wife and headed down to the docks to captain the boats. 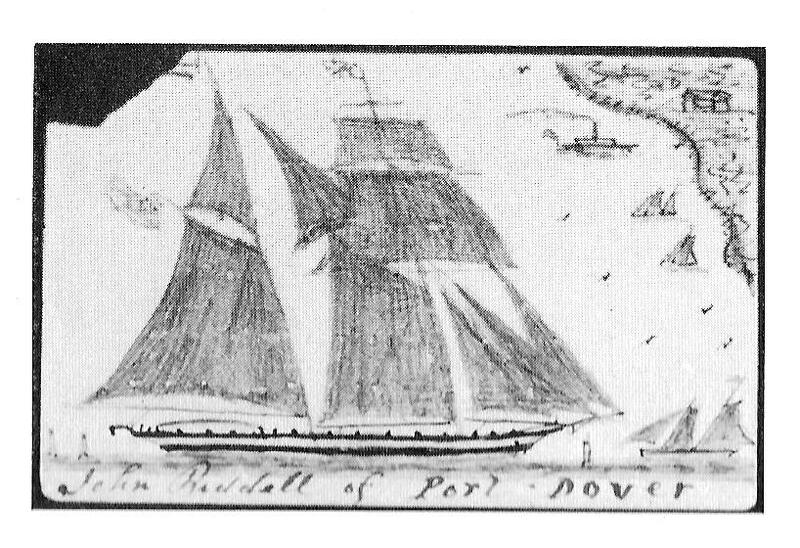 McNeilledge became a fixture at the docks and was involved in many operations around port. 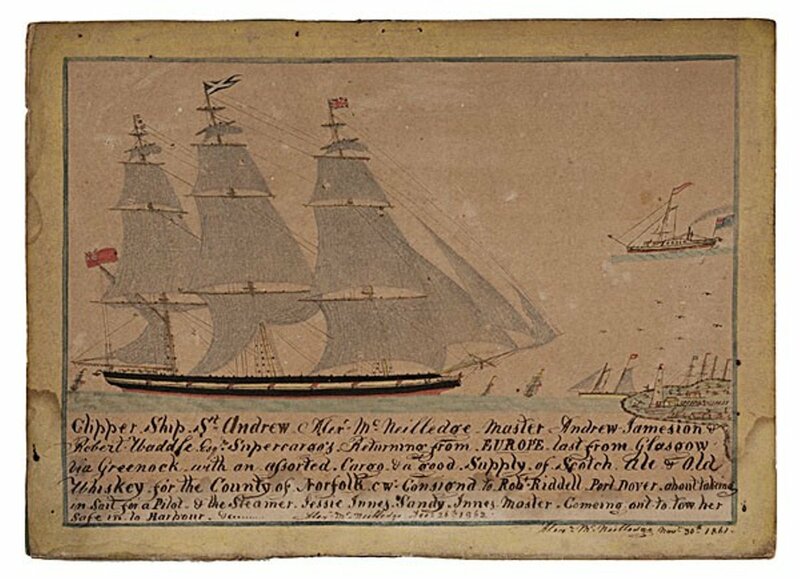 In the 1840s he began to produce a series of charts and maps for navigating Lake Erie. The document was widely used until the early 2oth century. In Lake Erie – a pictorial history by Julie MacFie Sobol and Ken Sobel, they quote the captain from the preface of his 1848 “Chart and Sailing Instructions for the North Shore of Lake Erie” , ”All the Lake Ontario Captains on both sides and the Lake Erie captains on the American side are afraid of the North Shore.” His journal filled a need, for without the captain’s well observed navigational instructions and maps, many more vessels would have joined the underwater fleet”. He maintained a diary over the last 37 years of his life, recording not only routine daily events but also many personal feelings of frustration, loneliness and non-acceptance. The captain was found by his wife on August 21, 1874, having taken his life in the ravine behind the house the previous day. 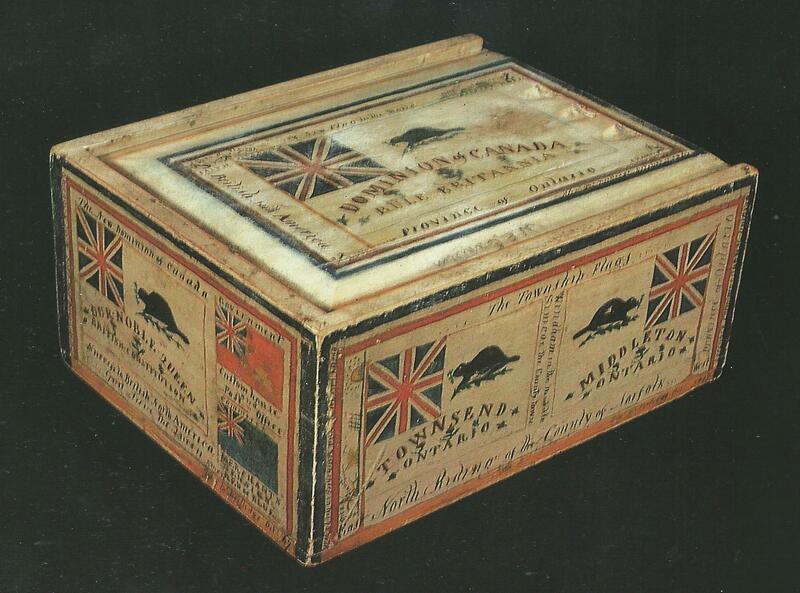 But rather than his sad ending, I prefer to think of all the joy he has given people over the years with his charming drawings, water-colours, and of course the exquisite 1867 Confederation box. It is fitting that in that year, McNeilledge fired off his cannon to mark the start of the Canada Day Parade in Port Dover. The first in Canada, and a tradition that continues to this day.